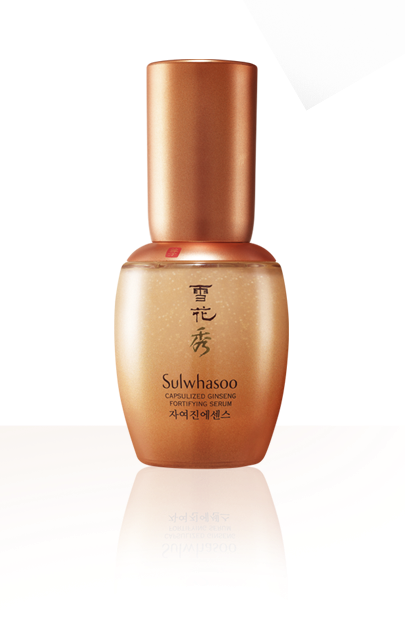 Sulwhasoo Capsulized Ginseng Fortifying Serum is formulated with four major elasticity fortifiers to restore youth and refill deepening wrinkles. The key technology behind this serum is Ginsenisphere™. This Ginsenisphere™ consists of the very special Micro and Macro Ginsenisphere™. Micro Ginsenisphere™ allows skin to better absorb the benefits of ginseng by four times more than the usual rate to ensure optimum delivery of the powerful anti-aging ginseng saponin.